Autumn has arrived and with it, the pumpkins, from which we can make pies and other treats, but also we could use them as domestic medicines. In alternative medicine, the fruit of pumpkin is recommended as a diuretic, for expelling excess water from the body, especially in people suffering from rheumatism, inflammation of the kidneys or bladder. It can be consumed cooked or baked, drink as fresh juice or nibble pumpkin’s seeds. It is believed that the pumpkin is an excellent dietary food for obese people, diabetics as well as people with diseases of the stomach and small intestine. For everyone is recommended boiled and roasted pumpkin or fresh neat juice. More recently it was discovered that the pumpkin makes well to patients suffering from psoriasis. Pumpkin seed is also healing and has been recommended as an effective and safe remedy for children's worms and tapeworm. It can take the children from two to three years, pregnant women, nursing mothers and the elderly, and people with diseased liver. Pumpkin seed brings alleviation to patients with prostate cancer, who need to eat it every day. In the morning, on an empty stomach, eat grounded pumpkin seeds with a little honey. Young children from 30 to 50 grams, increased from 1-2 oz, and for adults 8-10 oz of pumpkin seeds. It recommends, that after half an hour, you should drink a tablespoon of castor oil and then do not eat or drink for several hours. 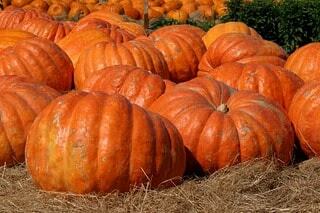 In the autumn season, pumpkin should be eaten roasted or boiled every day or drink neat juice. Alternative medicine recommends lubricating oil from pumpkin seeds (available in health food stores). It is advisable to have one meal daily that is consist of stewed pumpkin with a bit of tomato and chopped onion spiced with a spoon or two of cream, but without the salt. Well grated pumpkin put as a compress on the affected place and keep it through the day. Carefully take the stamens from the middle of the pumpkin flower, little mash them and thereby rub the wart twice a day. Repeat until the wart falls off.